Retired United Methodist Bishop William Wesley “Bill” Morris died Thursday morning, Jan. 14, having suffered a massive heart attack at home, the Tennessee Conference reported. Morris, who was 78, led the Alabama-West Florida Episcopal Area from 1992 to 2000. He was the first African American to hold that post, and made news in 1998 when he was among the clergy officiating at the funeral of George Wallace, who had by then often apologized for defending segregation as Alabama’s governor. Morris also oversaw the Nashville Episcopal Area, comprising the Tennessee and Memphis Conferences. He retired from the episcopacy in 2008. In a 2007 television interview, Morris spoke about the importance of Christians taking their vertical relationship with God and “making it horizontal” through evangelism and service to others. “In the missionary enterprise … your objective is for people to know that God loves them,” he said. News of Morris’ death saddened many across The United Methodist Church, especially in Tennessee, where he had continued to live in the Nashville area. In Alabama, the Rev. John Ed Mathison recalled Morris as an effective leader who could make hard decisions and who moved the Alabama-West Florida Conference forward in race relations. Mathison, pastor emeritus of Frazer Memorial United Methodist Church in Montgomery, also praised Morris’s preaching. Far into retirement, Morris taught Sunday school at Clark Memorial United Methodist Church in Nashville. “The United Methodist Church has lost a giant and Clark Memorial has lost a giant,” said the Rev. Herbert L. Lester Jr., the church’s pastor. Bishop Marcus Matthews of the Baltimore-Washington Conference also expressed sadness, and recalled Morris fondly. William Wesley Morris was born in Baltimore on August 7, 1937, and attended the Baltimore public schools. He was a graduate of Ohio Wesleyan University, Garrett Evangelical Theological Seminary, Scarritt College and Vanderbilt University, where he earned a doctorate of ministry degree. Morris was ordained a deacon in 1959 and an elder in 1961. He served Bethany Methodist Church and Union Avenue Community Methodist Church in Chicago; Stanley Methodist Church in Chattanooga, Tennessee; John Wesley United Methodist Church in Nashville; and First United Methodist Church in Gallatin, Tennessee. As an African-American pastor at the predominantly white Gallatin church, he also was crossing an important racial boundary for the Tennessee Conference. “He read every single church newsletter. He’d ask you, ‘How did your revival go?’” said Armistead, who also served as assistant director of the old United Methodist Council of Ministries when Morris was the director. He recalled Morris standing up for a staff member that some people wanted to see leave. “He stood up for that person. He wanted to give them a chance,” Armistead said, adding that the staffer turned out to be a real asset. “He always saw potential,” Armistead said. On July 15, 1992, Morris was elected a bishop at the Southeastern Jurisdictional Conference in Lake Junaluska, North Carolina. 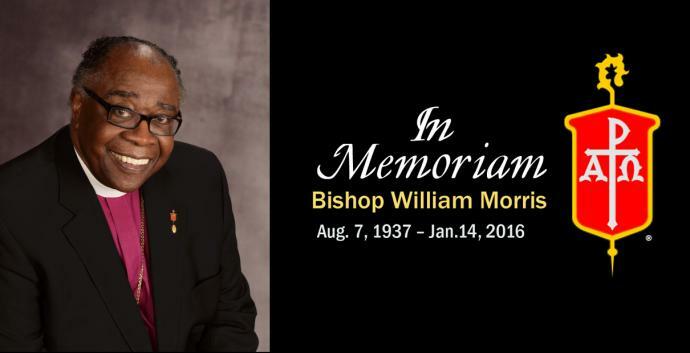 As bishop, Morris served as president of the United Methodist Board of Pension and Health Benefits from 2000 to 2004. He was a trustee of several United Methodist institutions, including Emory University in Atlanta. One abiding interest of Morris’ was men’s ministries, and as a retired bishop he served as interim top executive of the Commission on United Methodist Men for more than a year and supervised the agency’s move into its current Nashville headquarters. “In retirement, he always spoke of his love for The United Methodist Church,” said Gil Hanke, United Methodist Men’s current top executive. The Rev. Ryan Bennett, pastor of Bethlehem United Methodist Church in Franklin, Tennessee, spoke of Morris as a mentor who cared deeply about people and never really retired. Bennett also recalled how Morris would really pay attention and “be in the moment” in relationships. Once when Bennett had a chance meeting with Morris and claimed to be doing fine, Morris wasn’t convinced. “How are you really doing?” he recalled the bishop asking. Morris was married to the late Mary Head Morris of McMinnville, Tenn., and they had four children. He married Princilla Smart Evans in 2006. Hodges, a United Methodist News Service writer, lives in Dallas. Contact him at (615) 742-5470 or newsdesk@umcom.org. Heather Hahn, Kathy L. Gilbert and Vicki Brown contributed to this article.